Preheat the oven to 475°F. Wash and dry the fresh produce. Medium dice the potato. Cut the cremini and oyster mushrooms into bite-sized pieces. Peel and thinly slice the shallot. Pick the rosemary leaves off the stems; discard the stems and finely chop the leaves. Place the potato on a sheet pan. Drizzle with olive oil and season with salt and pepper; toss to thoroughly coat. Arrange in a single, even layer and roast, stirring halfway through, 24 to 26 minutes, or until golden brown. Remove from the oven and set aside in a warm place. 3. Add 2 teaspoons of olive oil to a medium frying pan and heat on medium-high until hot. Add the mushrooms. Cook, stirring occasionally, 4 to 6 minutes, or until browned and crispy. Season with salt and pepper. 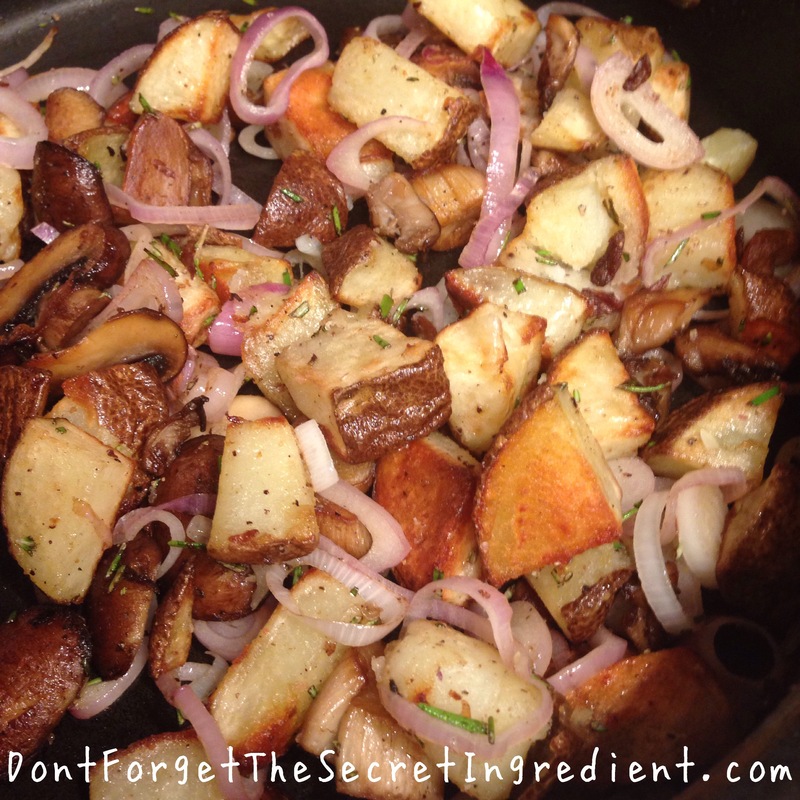 Add the shallot, roasted potato and all but a pinch of the rosemary to the pan of mushrooms; season with salt and pepper. Cook, stirring occasionally, 2 to 3 minutes, or until thoroughly combined and the shallot has softened. Remove from heat and season with salt and pepper to taste. Transfer to a serving dish/platter. Garnish with the remaining rosemary. Enjoy!